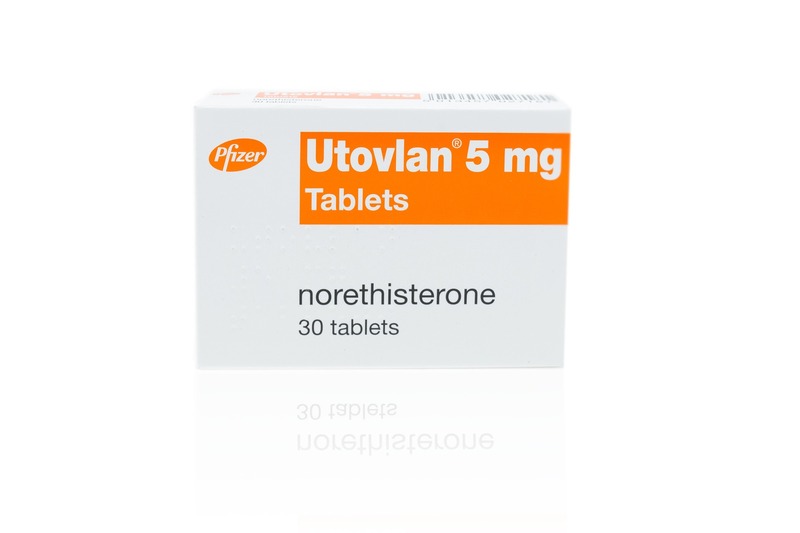 Utovlan tablets are used mainly to reduce the symptoms of heavy or painful periods. They can also be used to treat certain other issues related to the womb and menstrual cycle. This medication adds a hormone to the body called progesterone. Have you had your blood pressure checked within the past six months? Are you currently taking any other medication either prescribed or bought over the counter? Are you allergic to any particular foods or drugs? Approximately how many units of alcohol do you drink per week? Have you had a cervical cancer screening test/smear test within the past 3 years? Have you seen a doctor or nurse about your painful periods? Have you used this medication before? Are you currently taking any kind of hormone treatment or using any hormonal contraceptive? Has a doctor or nurse ever advised you to avoid taking hormonal contraceptives? Utovlan is a medicine used to treat heavy or painful periods. It contains a synthetic version of a female hormone which is used to relieve some of the uncomfortable symptoms a woman can experience while their body prepares itself for potential pregnancy. Utovlan comes in the form of tablets which are each 5mg in strength. During the menstrual cycle, the muscle walls of the womb contract and this can lead to feelings of pain for women. That’s because the muscles can end up tightening and restricting the flow of blood and oxygen around certain parts of the womb. In response to this issue, the body releases chemicals called prostaglandins which increase the severity and rate the muscles contract but also worsen the pain in the process. To counter this problem, Utovlan adds a synthetic version of a hormone called progesterone. This hormone is produced naturally by women but drops significantly during the menstrual cycle and it’s this drop that allows the uterine wall lining to build up before it sheds. With more progesterone added, the build-up and shedding of this lining is reduced, which means less bleeding and less severe muscular contractions as a result. What conditions can Utovlan treat? How do I take Utovlan? The exact dosage you’ll take will depend on what specific condition you are taking Utovlan for. Your doctor will direct you on what dosage to take and the product’s contents will also include guidance on the usual dose for different problems. For heavy bleeding and other period problems, the usual dosage is one tablet three times a day for a total of ten days, and you’ll start taking these tablets 19 days after your last period began. For premenstrual tension, you’ll usually take one tablet a day for ten days in total, starting from 16 days after your last period began. If you take Utovlan to treat endometriosis, the usual dosage is one tablet three times a day for at least 6 months. For treating breast cancer, the typical instructions are to take eight tablets across a single day, although your doctor may increase this to 12 tablets a day. For delaying your periods, a single Utovlan tablet is usually taken three times a day. You’ll start these tablets three days before your period is due to start. What are the side effects of Utovlan? There are a wide range of side effects that could occur when taking Utovlan, but they are not that common so chances are you won’t experience any at all. Still, it is worth highlighting that Utovlan can potentially cause severe side effects which point to a severe allergic reaction or a blood clot of some kind. If any side effects occur which are concerning, you should contact your doctor or pharmacist as soon as you can.